Wedgie's wonderful world: Something a bit girlie! Hello there! Happy Hump Day! I hope you are having a good week so far - its so nice to see the sun shining at last! I think its perfect for a very girlie Birthday! I've used lots of pink papers, some very cute cupcake images that have been coloured with my Promarkers and of course lots of glitter! 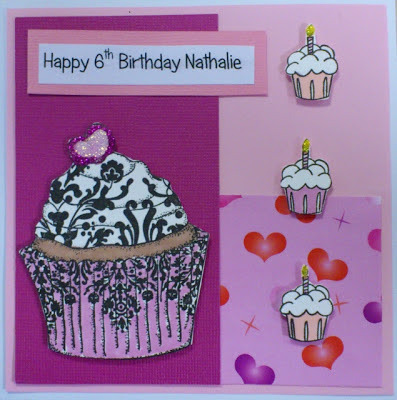 Pop by these fab challenge blogs to see the gorgeous DT cards that have been created this week! OOOhhh, Wedgie! Loves cupcakes... a little girl after your own heart! Fab card! Pink, sparkle and cupcakes, what more could a girl ask for Wedgie. Thanks for getting girly with us at Allsorts challenge.